If you&apos;re looking for the best action camera, then you&apos;ve come to the right place. Action cameras are unlike any other kind of camera. They&apos;re designed to be attached to helmets, surfboards, cars and other objects, and they&apos;re small, tough and simple to operate, with a lens that captures the world in high-definition video. Their small size and dramatic POV (&apos;point of view&apos;) footage has made them popular with extreme sports participants, who capture their adventures by attaching cameras to themselves or their equipment. They&apos;re also used by TV production companies where using a regular video camera would be impossible. You don&apos;t have to be an adrenaline-junkie or filming your own TV show. Action cameras are also great fun for the family, especially on days out or vacations when you simply want to hit record and document you time together. Who makes the best action camera though? GoPro is without question the market leader – in fact, they invented this whole action camera genre. They&apos;re not alone though, with a number of new rivals out there to tempt you. 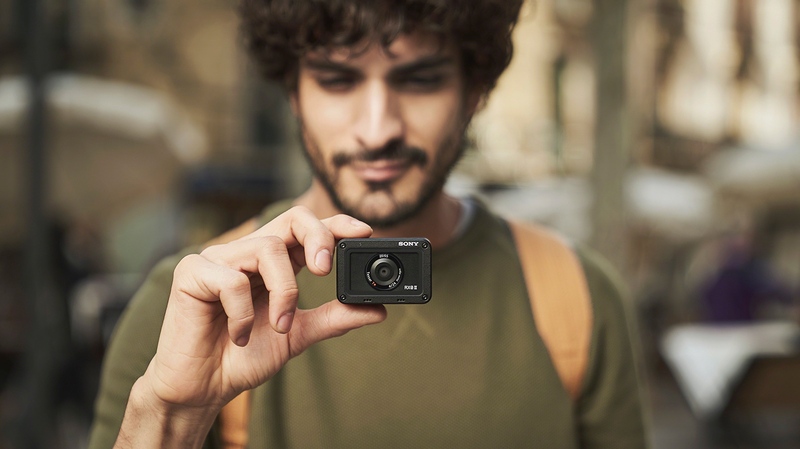 While action cameras are principally for shooting video, the best action cameras also shoot pretty decent still images as well, though don&apos;t expect anything better than a point-and-shoot compact camera. 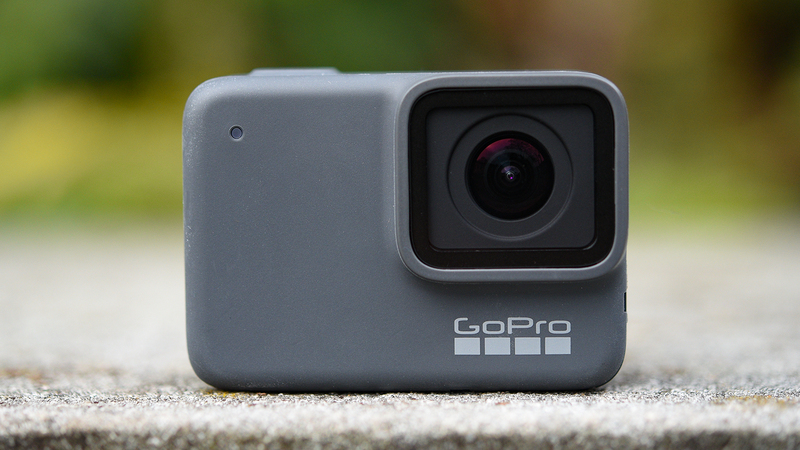 The top of the range GoPro Hero7 Black replaces Hero6 Black and is our best action camera pick right now. We&apos;d even recommend you now avoid the Hero6 Black. Don&apos;t get us wrong, it&apos;s not a bad action camera at all, it&apos;s very good, but with the price of the older model only a few dollars or pounds less than the Hero7 Black, you&apos;re better off spending your money on the newer model. While it may share pretty much of the same headline video specs as the Hero6 Black that it replaces, the Hero7 Black offers a number of big improvements. The most significant of this is the addition of GoPro&apos;s all-new HyperSmooth image stabilization technology. It really is very impress, delivering gimbal-smooth video footage. TimeWarp video is a further new feature, one that combines the idea of regular frame-by-frame time-lapse shooting (which you can still do separately) with HyperSmooth – essentially, a stabilised hyperlapse, while the user interface has been overhauled for a much better user experience. Delivering buttery-smooth 4K video footage the Hero7 Black is the best action camera you can buy. 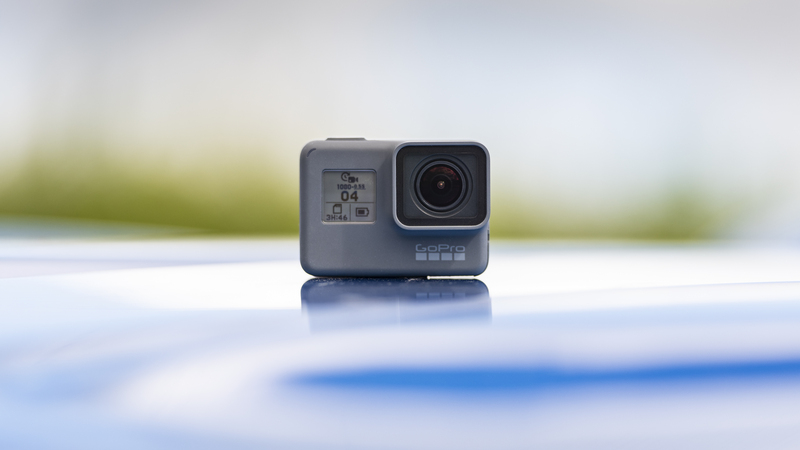 If you&apos;re aquatic-minded, or you need to know exactly where you were, and how fast you are going when you took a video, buy a GoPro Hero7 Black. 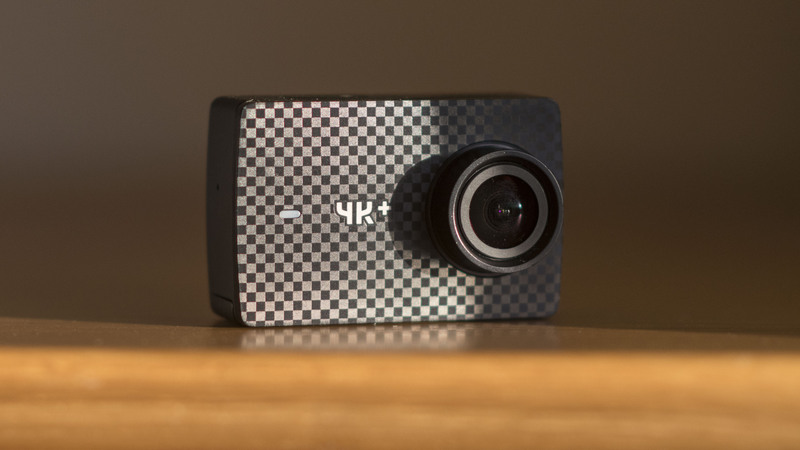 However, if you&apos;re more interested in saving money on features you didn&apos;t even want, the Yi 4K+ Action Camera is one of the simplest and best designed gadgets around. Everyone considering buying an action cam should have a look at the Yi 4K+ Action Camera because it&apos;s almost exactly the same and, in some ways, even better than a GoPro. The RX0 II is part action camera, part stills camera. This tiny second-generation camera boasts a large 1-inch sensor (just like Sony&apos;s premium compacts) that can shoot 15.3MP still images, while there&apos;s a top class Zeiss Tessar T* 24mm f/4 fixed wide-angle lens. Not only ultra compact, but crushproof and waterproof with it, the RX0 II can shoot 4K footage at 30fps and Full HD footage at 120fps. This second-generation model comes with a Soft Skin Effect mode and advanced Eye AF, while Sony&apos;s also managed to squeeze in a tilt-able LCD screen (capable of tilting up to 180° and down by 90°). It&apos;s a bit fiddly to use and expensive, so doesn&apos;t lend itself to the casual user, but for those looking for a rugged camera that can shoot great 4K footage, this shouldn&apos;t be ignored. It may have been overshadowed by both the Hero6 Black and Hero7 Black, but the Hero5 Black still has a lot to offer. Shooting 4K footage up to 30fps, video footage is incredibly smooth, while the ability to shoot stills in raw format brings even more flexibility. 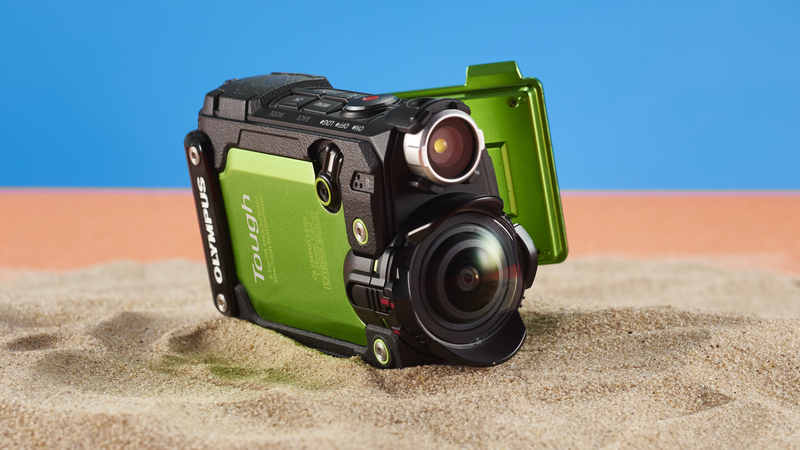 Waterproof down to 10m without the need for a protective case, it&apos;s also simple to use, while the addition of a rear touchscreen, voice control and GPS make it one of the most feature-packed cams currently available. The great news is that it&apos;s never been cheaper, making it an even more tempting proposition. How often do you take an action cam underwater? 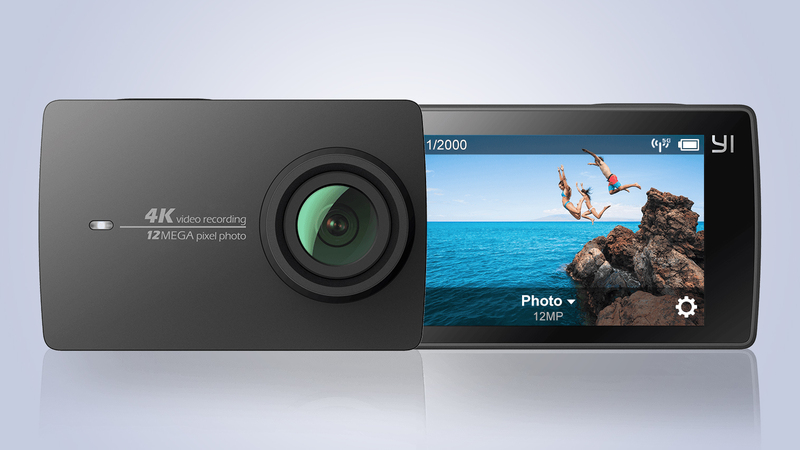 If the answer&apos;s not a lot, then the Yi 4K Action Camera could be for you. While there&apos;s an optional underwater case available, the camera isn&apos;t waterproof. There is a large and responsive touchscreen, a big battery and a fast file transfers however, and while it may lack a few niceties – and we would include lens distortion correction and image stabilisation in that list – the Yi 4K Action Camera remains a great value addition to any adventurer&apos;s kit bag. 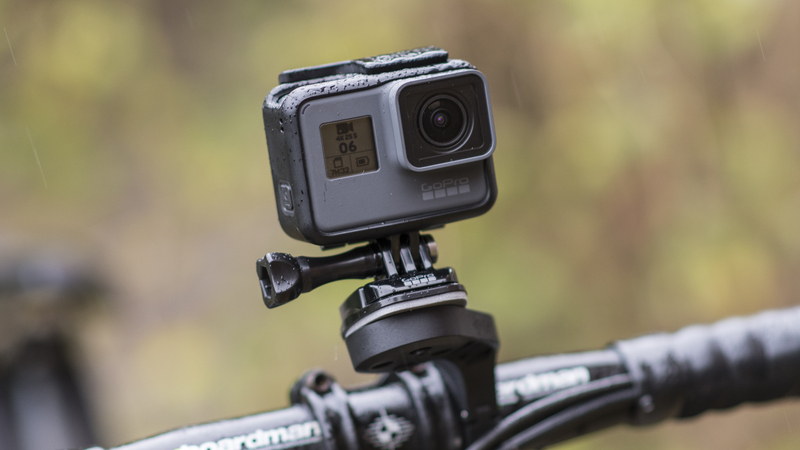 If you&apos;ve been eyeing up a GoPro for some time, but haven&apos;t been able to justify the price, the stripped-down Hero could be the answer. It doesn&apos;t shoot 4K, but does shoot nice and smooth Full HD footage and is a great camera for the novice or casual user who just wants to capture the action without worrying about which frame rate or resolution they should be using. There are better specified-action cameras out there for a similar price, but they don&apos;t have the refined design and polished control of the Hero. Bullet shape cams might have fallen out of fashion recently thanks to GoPro and its box-shaped cameras, but the TomTom Bandit bucks the trend. In fact, the Bandit packs features that other manufacturers will need to follow if they&apos;re to keep up with this newcomer. Taking years of GPS experience, TomTom has built in a series of sensors that not only record location but speed and G-force too, so that when these sensors pick up that something exciting has happened they automatically tag the footage. Back in the pub and with the app open and connected, a quick shake of your phone and the app will automatically edit your footage ready for upload. It really couldn&apos;t be easier. 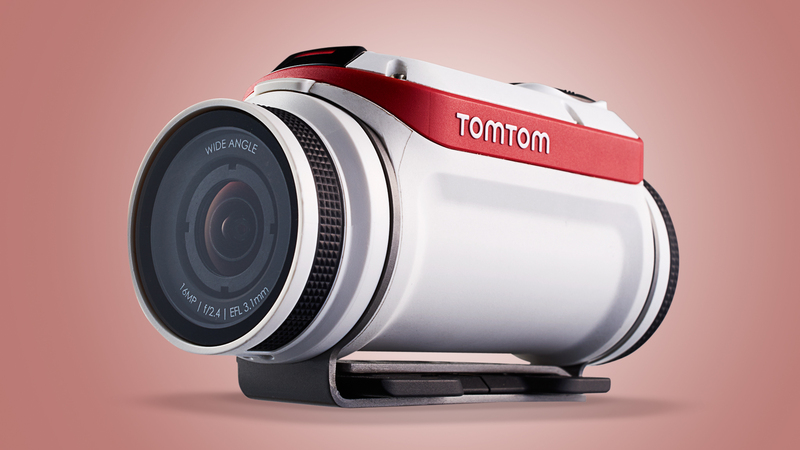 The TG-Tracker&apos;s futuristic design is hard to miss with an ultra wide 204 degree lens. Headline video resolutions include 4K at 30fps, 1080p at 60fps and an impressive 240fps at 720p for slow motion capture. This is an action camera ready for anything and even features a small LED video light built in. Sensors are the big news for the Tracker with GPS, compass, acceleration sensors plus a barometer and thermometer all capturing data from inside the compact case. The intel from these can all be displayed when viewing back the footage or in the video edit so you can show just how extreme you are. What&apos;s more, it&apos;s waterproof to 30m, features built in stabilization and can withstand temperatures down to -10C. Yi&apos;s range of action cams are pretty cheap, but this is the most affordable model in the range. While it shoots 4K footage, the frame rate is pretty slow and jerky. 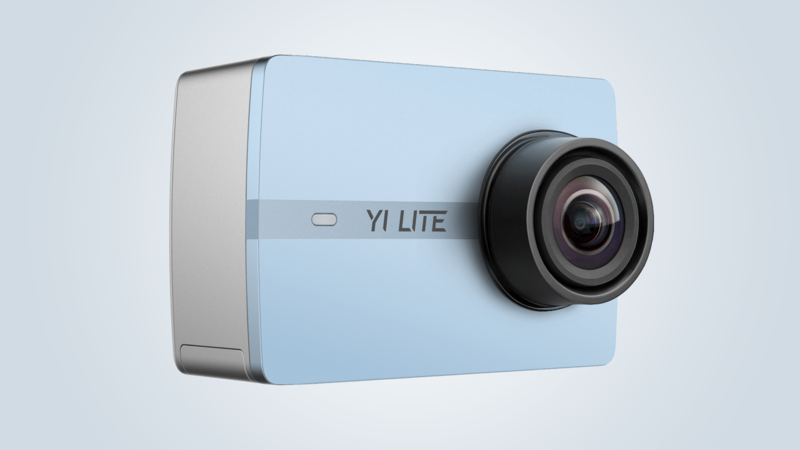 Don&apos;t let that put you off though as the Yi Lite can shoot some really smooth Full HD footage up for 60fps. With easy to use touchscreen navigation, a decent app and all the essential features most occasional users want, the tough, reliable and affordable Yi Lite proves an impressive entry-level action camera. If you&apos;re looking for something even more affordable, take a look at Yi&apos;s Discovery Action Camera – you won&apos;t find a better camera for the price. 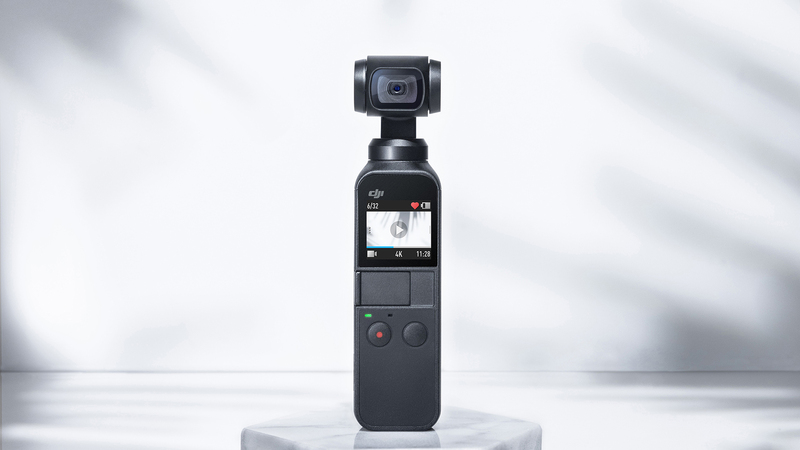 Though not technically a action camera, DJI&apos;s new Osmo Pocket is still going after the same audience. While it&apos;s not as rugged as dedicated action camera rivals, the Osmo Pocket has a clever trick up its sleeve in the shape of a built-in gimbal. 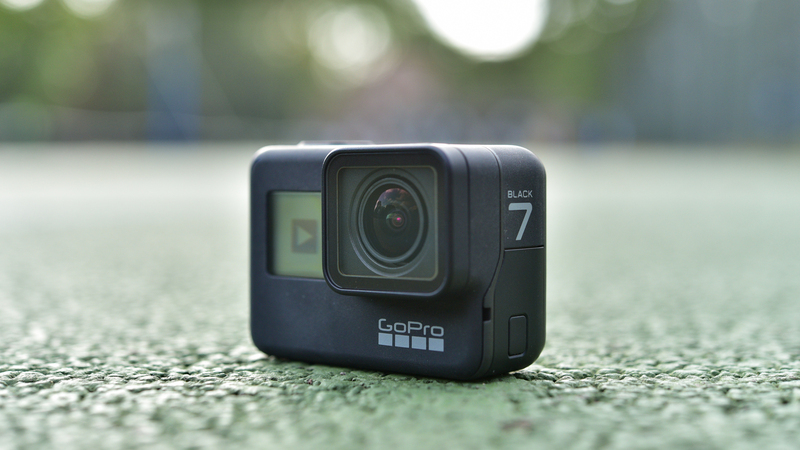 Gimbals as designed to counteract unwanted movement and help you shoot super-smooth videos – while GoPro&apos;s Hero7 Black has some clever image stabilization tricks, there&apos;s no substitute for dedicated hardware. The Osmo Pocket features three-axis stabilized gimbal and measures just four inches tall. The 1/2.3-inch sensor is capable of recording 12MP still images and 4K video footage up to 60fps, while there are built-in dual microphones that use advanced noise-canceling algorithms, which DJI says should ensure that you capture high-quality audio to match your footage. We&apos;ve already got our hands on one, and you can see what we think by clicking the link below.